SpaceX isn’t really a stranger to using autonomous technology as part of its space operations. The company has already accomplished several rocket landings on its autonomous droneship, “Of Course I Still Love You.” But why stop there? Why not add more robots to the whole operation? From the appearances of a new photo of the droneship at Port Canaveral in Florida, it looks like that might be SpaceX’s next move. Stephen Marr managed to snap a photo of the droneship during a helicopter tour on Monday which depicted a mysterious piece of flat white equipment sprawling over the surface of the ship. Marr posted the image to Reddit (and later to Instagram), and users immediately began to suspect it’s a robot designed to help improve the landing process for Falcon 9 first stage boosters and secure them to the ground more quickly and safely. In an interview with Florida Today, SpaceX senior direct of launch operations, Ricky Lim, said the new device is in a testing phase, but didn’t reveal what it’s designed to do. 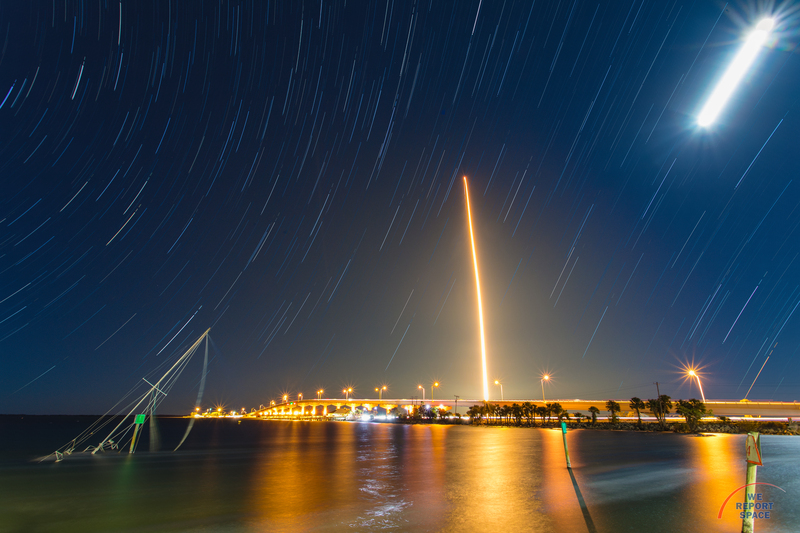 SpaceX’s next mission is being planned for sometime around March 29, from Kennedy Space Center, to send a communications satellite into orbit. For the first time, the company plans to reuse a Falcon 9 booster that had been previously launched and landed. Rocket reusability is an integral part of company CEO Elon Musk’s vision for how to bring down spaceflight costs and make space travel more accessible to other companies and the rest of the world. The roomba-bot in the bottom right corner of the droneship. This particular rocket was flown in April 2016, during an International Space Station resupply mission. It will attempt a droneship landing in the Atlantic Ocean, and it’s entirely possible we might see this weird robot play a significant role in that operation.